Aviation training centre Baltic Aviation Academy located in Lithuania has signed a Memorandum of Understanding with Transport and Telecommunication Institute (TSI) from Latvia. According to the signed document, both institutions have agreed to cooperate and engage mutual efforts and practices in order to develop joint training program for aviation professionals allowing enrolled students completing the training program to obtain a combined university degree awarding joint qualification of a pilot and an aircraft engineer. The new studies program is focused on preparing highly trained and well-rounded professionals who will be able to perceive dual career opportunities and have an in-depth knowledge of the industry. Program will take four-years to complete and will be conducted in English language. The whole theoretical training part will take place at TSI facilities in Riga, and flight training part will be conducted in either Lithuania or Latvia. The planned start day of the new studies program is October 5th of 2015. “We believe this studies program will be a big success because currently industry is lacking experienced professionals who know aviation from a number of different points of view. This program will give graduates an edge when looking for the further career opportunities”, comments Indre Sveistryte, Director of Ab Initio School at Baltic Aviation Academy. From his side Mr. Bogdan Furundzhi, Chairman of the Board of JSC Transport and Telecommunication Institute, stressed that agreement reached with BAA is a new step in the long and glorious history of TSI. 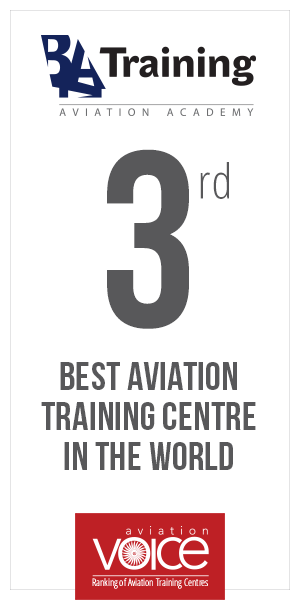 “For almost hundred years we have dealt with the training and teaching of different categories of aviation specialists and one of the main reasons of our success is that we never stopped. Modern technologies used in international aviation business now require highly skilled and intelligent professionals and, through the joint efforts of TSI and BAA, specialists will be prepared, who are able to fulfill these requirements”, noted Mr. B. Furundzhi. In order to better introduce this new studies program to the public, both, Baltic Aviation Academy and TSI are hosting an Open Door Day on August 29th at TSI facilities in Riga, Latvia. This event is a chance to get detailed program information, meet the representatives of both institutions and have all uncertainties clarified. Transport and telecommunication institute (lat. Transporta un sakaru institūts – TSI) – is a modern university with the almost centennial history. TSI – is the university-successor of the legendary RKIIGA (Riga Red-Banner Civil Aviation Institute) and RAU (Riga Aviation Institute). In the present-day appearance TSI was established in 1999. Nowadays TSI – is the only one private technical college university type in Latvia, where you can get higher education in Russian, Latvian and English languages. The Institute received permanent accreditation in Latvia as a higher education institution.